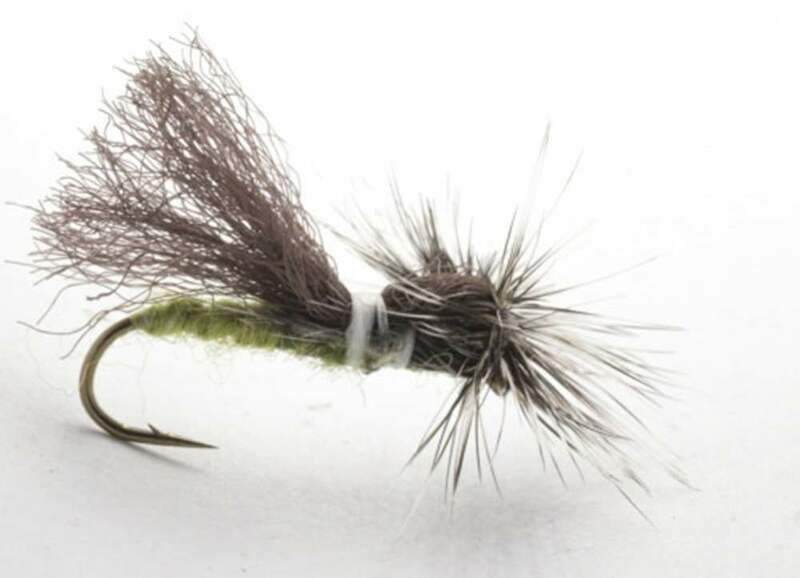 Parapoly Sedge - Dark Olive designed by Hans Van Klinken. This is a deadly caddis or sedge pattern, the polyyarn thorax and wing with Fly Rite Dubbing is a deadly combination with floatant absorbed to keep the fly high in the water. Tied on a Daiichi 1280 hook to Hans specifications.